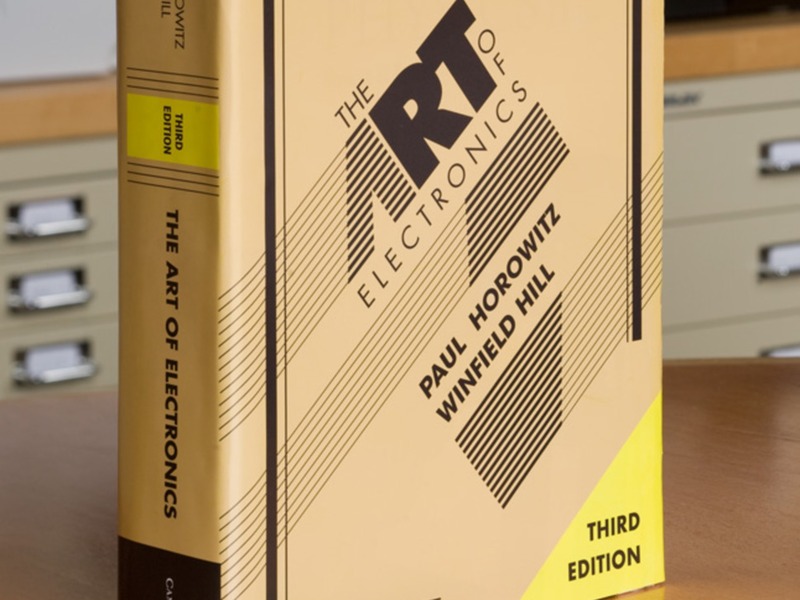 BREAKING NEWS – The Art of Electronics 3rd Edition by Horowitz & Hill HARDCOVER – Third Edition « Adafruit Industries – Makers, hackers, artists, designers and engineers! 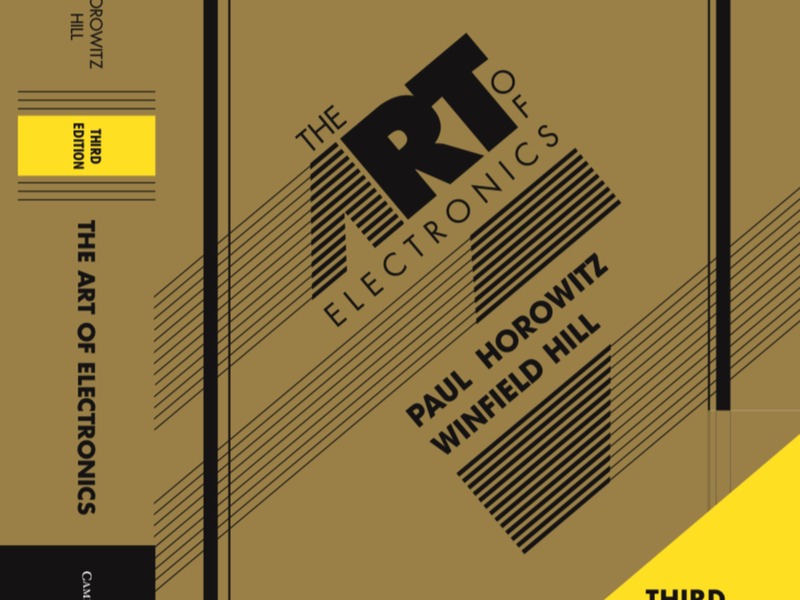 That’s right, it’s coming in April and you’re seeing it here first – The Art of Electronics 3rd Edition by Horowitz & Hill HARDCOVER – Third Edition. Watch it on ASK AN ENGINEER. 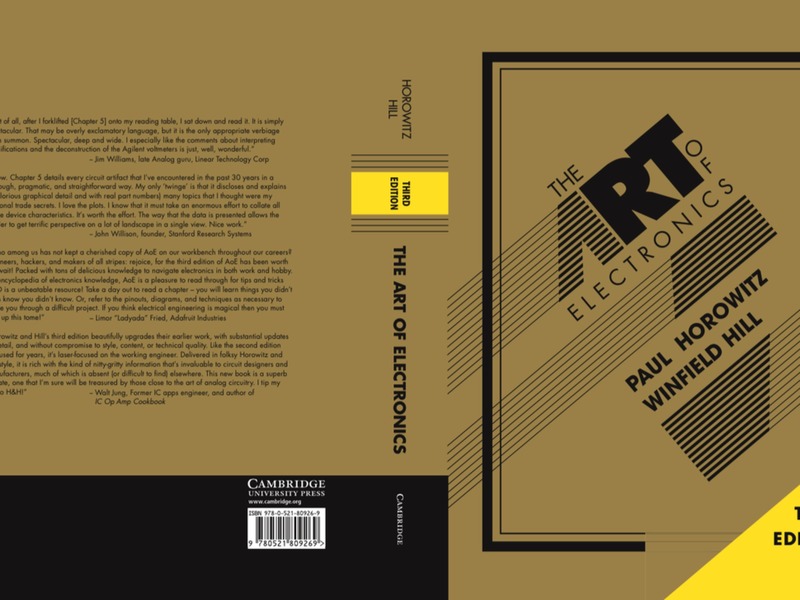 At long last, here is the thoroughly revised and updated third edition of the hugely successful Art of Electronics. It is widely accepted as the best single authoritative book on electronic circuit design. In addition to new or enhanced coverage of many topics, the Third Edition includes: 90 oscilloscope screenshots illustrating the behavior of working circuits; dozens of graphs giving highly useful measured data of the sort that’s often buried or omitted in datasheets but which you need when designing circuits; 80 tables (listing some 1650 active components), enabling intelligent choice of circuit components by listing essential characteristics (both specified and measured) of available parts. 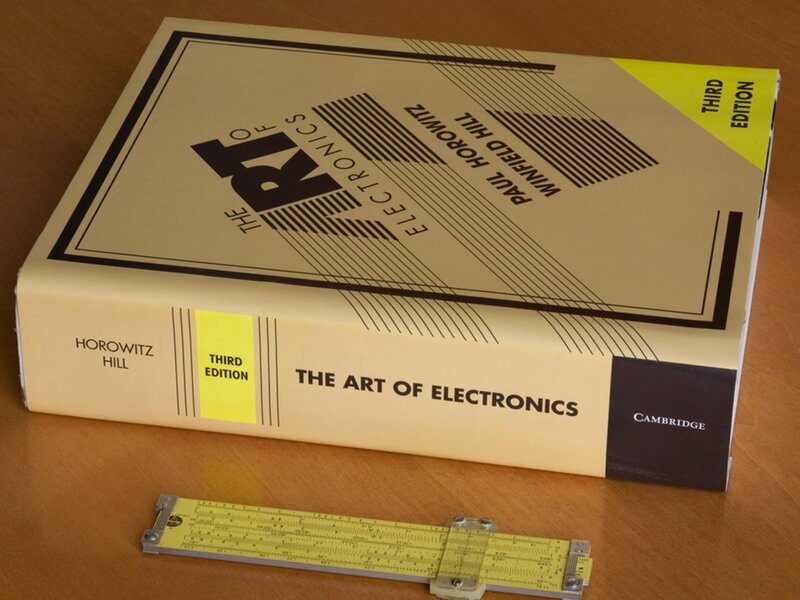 The new Art of Electronics retains the feeling of informality and easy access that helped make the earlier editions so successful and popular. It is an indispensable reference and the gold standard for anyone, student or researcher, professional or amateur, who works with electronic circuits. Clocks in at a whopping 1,470 pages with 78 tables – so prepare yourself for a very long and informative book club! Note: Real copies of this book do not yet exist – the photos are just mock ups! But when it comes into stock it’ll be a real physical book. Sign up now, we’ll have them at Adafruit!!! This book is brilliant. I got a copy of the 1st edition when it first came out. Managed to get a second copy when the first company I worked for folded. The 2nd edition added more microcontroller based circuits to match the technology of the time. Lots of useful guides and hints and tips. Plenty of schematics you could modify, these tend to be aimed more at those for scientific experiments but don’t let that put you off. Can’t recommend the book highly enough!! With a Pickett 1010 for scale.